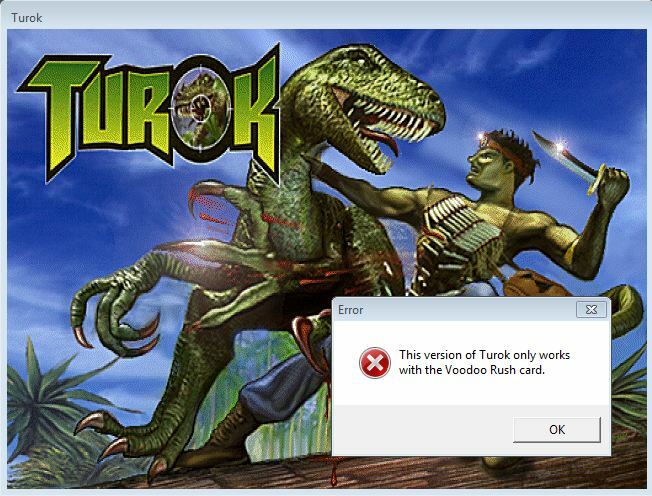 I only have the Turok D3D (v1.0) release and the included Video_3DFx.dll accepts any Glide hardware/wrapper. However, 800x600 is disabled in the configuration dialog because nGlide returns GR_SSTTYPE_VOODOO and not GR_SSTTYPE_SST96 (but you can edit the Data\config.ned to play in 800x600). You can upload your Video_*.dll and I'll have a look at the check. Should work, but I cannot test it because I do not have the OEM release.